The first (official) day of summer is Wednesday, so why not have a First Day of Summer Party? Or just do a little something? Doesn’t have to be a big deal, but recognizing the first day of each season has helped my younger kids grasp the concept, versus, “When it’s hot!” or “When it snows!” like all the books teach them. Useless in most areas, really. I grew up with four seasons: warm with a chance of chill, hot, really hot, and holy-moly-I-can’t-believe-I-haven’t-melted-hot in Louisiana. In Central Texas we had: four days of cold, warm with a chance of hot, hot, and you-should-be-inside-hot. Here in Albuquerque, I hear there are four noticeable weather seasons. That will be an interesting change. These kinds of activities also build memories and tradition. I have a some ideas to throw at you- all easy and inexpensive! So, pick one or three, and have a fun first day of summer! 1) Eat watermelon. How easy is that? 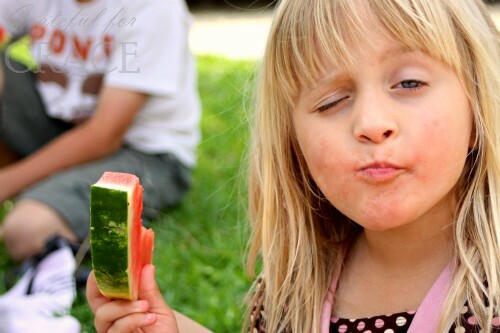 Watermelon is probably the official summer fruit, so enjoy some. Why not include a seed spitting contest? Two activities for the price of one! Add some goofy photos and you have tons of fun. 2) Play in a sprinkler or go swimming. Swimming is probably the official summer activity. Don’t have a pool? Us either. Grab a hose and a sprinkler (you can even make your own with a soda bottle poked with holes!). 3) Make a hand shape sun. Trace the child’s hand on yellow construction paper twice and cut out. Glue the palms over each other. Place a circle on top and voila! A sun. Write why they like summer on each finger to turn it from a cheesy craft to a cheesy keepsake. 4) Make sun shine cupcakes. Ice the cupcakes in yellow frosting and place candy corn around the edges. The kiddos could do this themselves (yes, it will be messy) and love every minute of it. If you have suggestions for a healthy option for the sunbeams, instead of candy corn, please chime in and leave a comment. I couldn’t think of anything else! 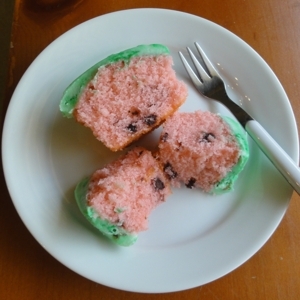 5) Make watermelon cup cakes. Man, these are stinkin’ cute! They would be fun to make with your children, but also fun to surprise the kids with since they look like plain ol’ green cupcakes- until their first bite! Cuteness! While the link shares making the cupcakes from scratch and dying the batter, I’m going to just use strawberry cake mix and dye the cream cheese icing green. 6) Have a water gun fight. Kids just love water guns. Actually, who am I kidding, most adults like water guns too. Fill a big bucket of water, toss the artillery, and have at it! I bet the smiles will be ear to wet ear. You could even have targets and contests. Be sure to take (waterproof) photos. 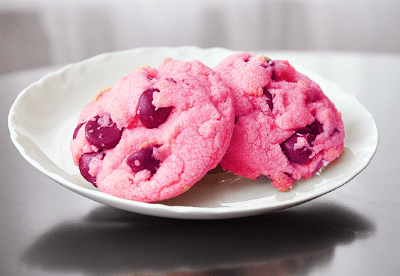 8 Make pink chocolate chip cookies. I saw these on Pinterest and knew I had to do them sometime. I’m a big fan of pink. Anyway, it didn’t hit me until I had already posted this that I could make these for watermelon cookies! Roll the edges in green food coloring or (even better say the children) in a bit of icing and then green sprinkles to give the rind effect. How fun!! Also, if you live the gluten free life, Betty Crocker makes a killer yummy GF chocolate chip cookie mix. Use it and have a super quick and cute watermelon cookie. What will we do? We’re gonna do the watermelon cupcakes, eat watermelon, and spray one another with water guns. Should be a very memorable day. I’m saving the ice cube activity and super cute pink cookies for another summer day. I can’t decide if I’m going to tell the kids about the water guns or wait until I’ve soaked them with a surprise attack. Actually… I’m pretty sure they aren’t gonna know what hit ’em until I’m already reloading! What will you do this first day of summer?